Patchen, California is one of five “Ghost Towns of the Santa Cruz Mountains” which grew and flourished during the last half of the nineteenth century. Alma and Lexington are buried under tons of silt and millions of gallons of water in the Lexington Reservoir. The other two (Laurel and Wright’s Station) are mostly forgotten and only accessible to the ardent explorer. Patchen was a vibrant center of activity and local culture for over a century. During the 1940’s the town was bypassed and isolated by the construction of Highway 17 but since the late 1960’s it has come alive again as a Christmas Tree ranch, preserving much of the charm and character of its nineteenth century heritage. Patchen was once a thriving community; you need only to close your eyes and draw a deep breath of clean mountain air to recall it. The United States took possession of California in 1846 and among the pioneers of the 1850’s came the earliest known permanent white settler; Charles Henry “Mountain Charley” McKiernan. In the 1850’s and 1860s McKiernan built roads throughout his property on the summit and operated a toll road down an old Indian trail near here. 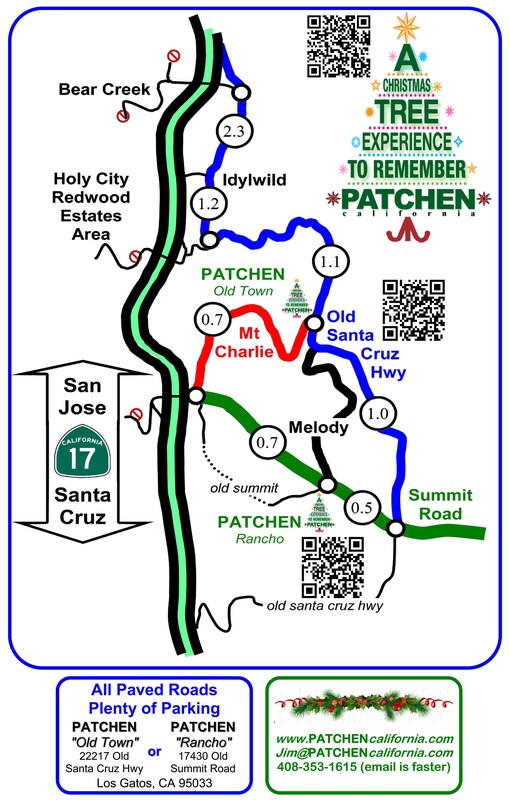 You might have driven down Mountain Charley Road to get to Patchen today. McKiernan settled near the lagoon about one mile south of here in 1850 and became famous for what happened to him about five miles southwest of here on May 8, 1854. McKiernan and John Taylor, a neighbor, were hunting with Taylor’s dog. They both shot at a Grizzly and McKiernan hit the bear but only dazed it. Not having time to reload his gun, McKiernan hit the bear over the head with his rifle until it broke. The enraged Grizzly rose up with its tremendous jaws open, and made a snap at Charley, catching him over the left eye and forehead, crushing his skull and tearing out a piece about five by three inches. Three San Jose doctors crafted a silver plate from two Mexican pesos and patched the hole in Charley’s head without the benefit of anesthetics. The last reported sighting of a Grizzly in the Santa Cruz Mountains was in November 1885 near Bonny Doon, but McKiernan lived until January 16, 1892. Directly across the road is California Historical Site marker #448 commemorating the town of Patchen and the legend of “Mountain Charley.” This was the first settlement in the Summit area and it was centered around the first Post Office in the area, called Patchen. In 300 B.C. there were people living in the area which is now Patching Parish in Sussex, England. People by the name Patching(en)(in) have been listed in that area since the 800’s A.D.. In 1634 Joseph Patching came to the U.S. and most of the Patchens in America can be traced to him. 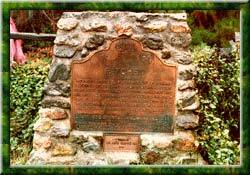 The name reached this area by way of a famous race horse named “George M. Patchen” and his son, “Smith Patchen” nicknamed “California Patchen” because of his good showing in California in 1862 and again in 1867 in San Jose, San Francisco and Sacramento. The Post Office name appears on the government record as having been established at Patchen on March 28, 1872 where it operated until November 30, 1929. One of the first Post Masters was D.C. Feely. In 1885 he represented Patchen at the American Exposition at New Orleans. Feely took a polished wood collection, a soil sample from his farm, and a large exhibit of fresh fruit provided by the local fruit growers. The Feely Ranch, located about a quarter mile north of here, was a favored vacation spot of Jack London (1876 : 1916). It is often said that he wrote some of his best works while vacationing here. Incidentally London was also Secretary and Treasurer of the Communist Party of California during that same time period. The area is still identified on the official Santa Clara County Assessor’s map as “Call of the Wild” and you will notice a road by the same name as you drive north from here. The Edgemont Hotel was located in Patchen and operated by Mr. and Mrs. L.N. Scott. It was located in the flat area near the road, about where the main parking lot is today. In 1855 the California Stage Company was awarded the United States mail contract from San Jose to Santa Cruz and Patchen became the place to change horses. One of the most famous drivers on the mountain route was Charley Parkhurst, who drove over the mountain roads about 1868. Like other stage drivers, Parkhurst wore a heavy muffler, gloves, a buffalo skin coat and cap. Also, like other drivers, Parkhurst had a sharp throaty whistle, used like a horn to warn others that the stage was just around the corner. For these reasons “Charley” was able to hide her identity until her death. The stage was held up at Patchen on the afternoon of April 1, 1874. After the second robbery in the same area on April 28, 1874 the culprits were captured and sent off to San Quentin with the help of “Mountain Charley” and the local posse. From the 1880’s to the early 1900’s vacationers, going into the mountains to places like the Edgemont Hotel in Patchen or to Santa Cruz, filled the roads with horses and wagons. The narrow gauge railroad opened in 1880 from Los Gatos, along the Los Gatos Creek, to Wright’s Station about a mile east of here. From Wright’s Station it went through a two mile long tunnel to Laurel, then through other tunnels to Scotts Valley and Santa Cruz. At 5:12 a.m. on April 18, 1906 an ominous rumbling announced the most disastrous earthquake in California history. Roads were blocked by landslides, bridges were broken, houses and hotels were shaken to the ground, and the railroad was destroyed. 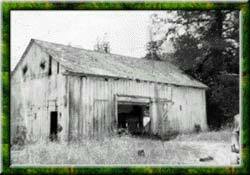 In 1949 one of the three buildings which remained of the original town of Patchen was torn down by Paul Von Ahnen who used its hand-hewn timbers to build his house, across the road from here. The building had been the old stage station, built in the 1870s. On Sunday, December 29, 1957 fire destroyed the building which had been erected by Joseph Fowler in 1876 as the post office. Fowler had kept the office in his home for the four years prior to that time. The chimney of the old post office, which is the subject of the Patchen logo stood until 5:04 p.m., October 17, 1989 when the Loma Prieta Earthquake brought it crashing to the ground after more than one hundred years. The barn, being the last remaining building, was disassembled and reassembled on a new foundation in 1985 and is in the process of restoration by the current owner. 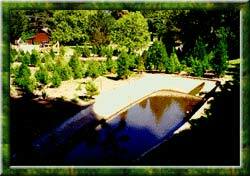 The huge concrete reservoir located on the property was fed by springs and used as the water supply for the town. 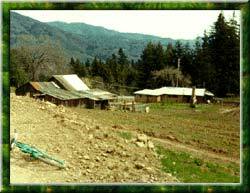 The land where the town once stood was purchased, piece by piece, during the late 1960’s and early 1970’s by the current owner and converted to a Christmas Tree Ranch to preserve it from development. You are invited to enjoy the scenery, the mountain air and the history and if you happen to purchase a Christmas Tree while you are here, we thank you for contributing to the preservation of this FAMOUS OLD GHOST TOWN.